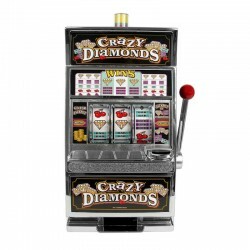 15” tall Crazy Diamond-themed slot bank with casino sounds and a flashing jackpot light. Working handle and manual coin return. 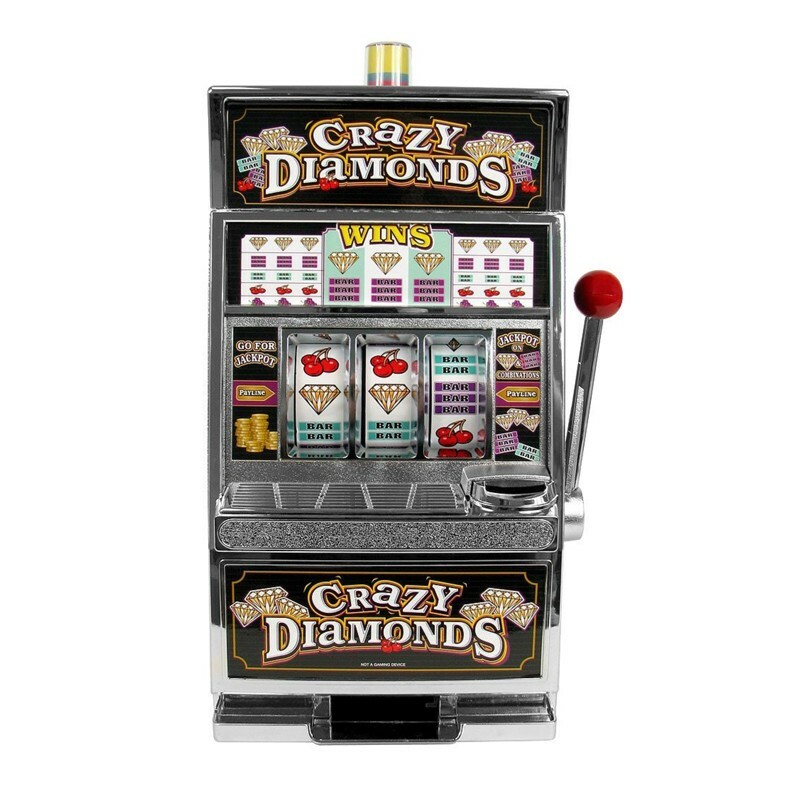 Separate coin slots for jackpot and savings. No coins require to play. 2 “AA” batteries required, not included.